WE COULD ALL USE A LITTLE EXTRA MONEY TO OUR NAME, RIGHT? 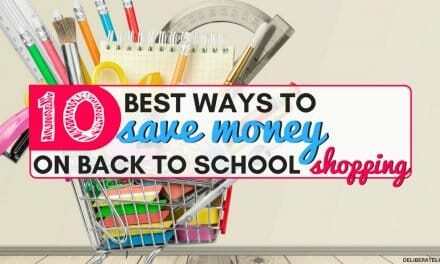 Saving money can seem like a daunting task to some. It can be difficult and even seem nearly impossible to some, especially when you’re already having a hard time making ends meet. 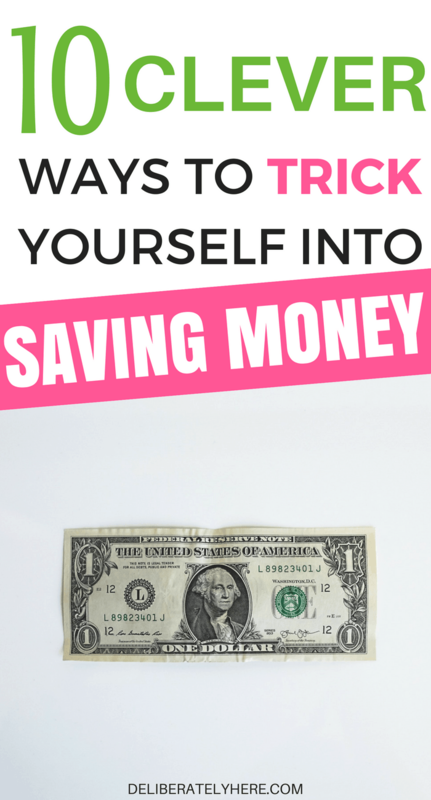 You might be wondering how on earth you’re supposed to trick yourself into saving money when you’re already struggling to cover all your bills. 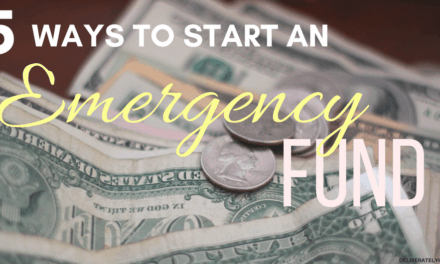 When you think of saving money, the first thing comes to your mind might be those small few dollars you throw into a savings account at the end of the month after you’ve (barely) managed to get your bills paid. That small sum of money that you won’t miss too much if you hide it away in a savings account. Saving money might be hard and you might feel like you’re a hopeless cause. Maybe you’ve tried everything in the books and can never seem to get it right. Your savings might be slipping through your fingers even though you feel like you’ve tried everything to make them add up. 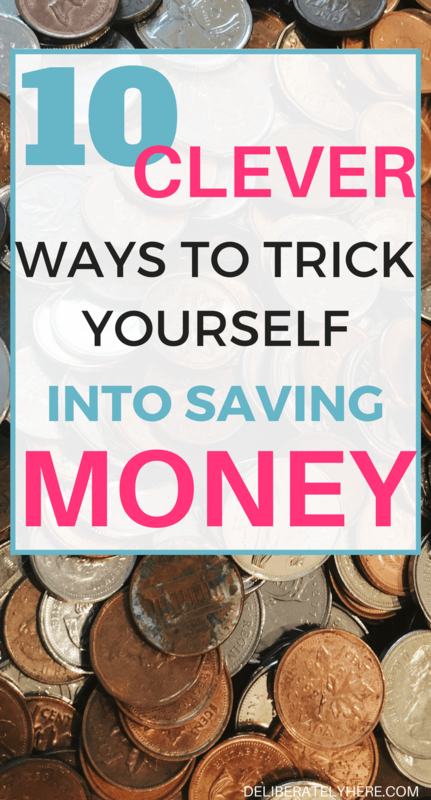 Maybe you just need a few of these money saving tricks. The first week of the month put aside $1, the second week put aside $2, the third week put aside $3, and the fourth week put aside $4. You will have 10 by the end of the month, and $120 by the end of the year. No, it’s nothing huge, but it’s a start and we all have to start somewhere. 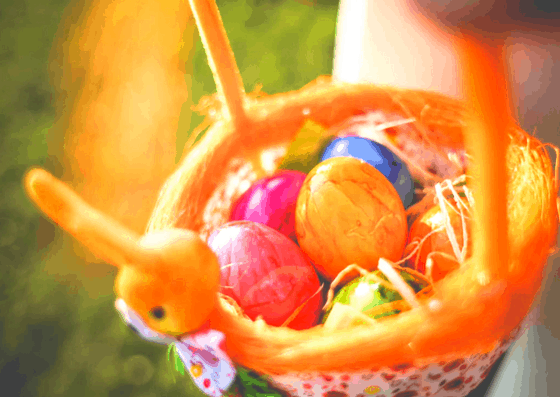 When you don’t make your savings account a first priority, it can be pretty easy to take any extra money you have at the end of the month after all bills are paid, and treat yourself. You managed to get everything paid on time and you even came out with a few extra dollars. You deserve a treat, right? Working your money like that is a cycle that always ends in little to no money winding up in your savings account. Instead of giving your savings account the last of your money, when your paycheck comes in, make putting a certain percent of it into your savings account your first priority. Don’t leave it until all the bills are paid, or else you’ll see you have spare money and be tempted to treat yourself with it. If you have no idea how much money you should be putting into your savings account – and all your other expenses, for that matter – enter your email below to get a free spreadsheet that shows you how much money you should be spending in different areas of your expenses. One of the biggest and often most overlooked money suckers is eating out. Whether you’re quickly grabbing a coffee or going to a fancy sit down restaurant, they both add up over time. Every time you grab food out, save the same amount in a jar at home. If you spend $4 on a coffee, put $4 into the jar. Over time you will really notice a decrease in your bank account, and it might be just the encouragement that you need to quit eating out. You might think this is useless, that it’ll never add up. Oh, but it does add up. And it doesn’t take very long, either. If you notice spare cash just kicking around, quickly put it in a jar before you are tempted to buy a coffee with it. I promise you this isn’t going to feel like much at all. You won’t miss the change once it’s gone, and you might be thinking that it’s not adding up to anything significant – but just give it time and it will. The jar only has one rule – you can put as much money in as you want, but you can’t take any out. Until one day in the future (that you have decided on when you started your cash jar, not when you all of the sudden feel a need for some extra cash), you can either take your cash jar and use it to treat yourself, treat someone else, or you can take all the cash that has added up over time, take it to your bank, and put it into your savings account. When you get home from being out and about, whether that’s work, the mall, running errands, or hanging out with a friend, put all the one, five, or ten dollar bills from your wallet into a jar. This can be the same jar as your cash jar, or a different one – it’s up to you. Most people start with one dollar bills and see how that goes, but if you’re feeling brave you can do it with five dollar bills, or even tens. 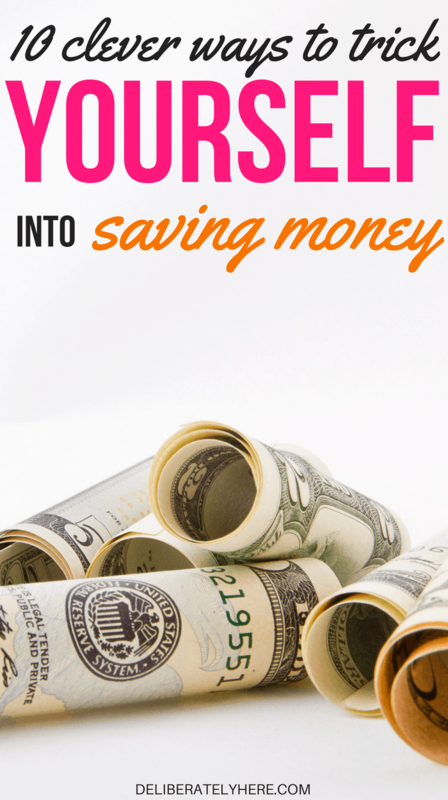 Each month, give yourself a predetermined amount of spending money for yourself and don’t spend a cent more. To make it easier to follow, take the amount you decided on out in cash at the beginning of the month, and tell yourself this is all the spending money you have this month, and use it wisely. Whether you want to use it to eat out, go to the movies, or buy some new clothes, once it’s gone for the month, it’s gone. If you have a bad habit you want to break whether it be swearing, eating junk food, biting your nails, and so on – any time you do whatever it is you are trying to quit, put money in the jar. 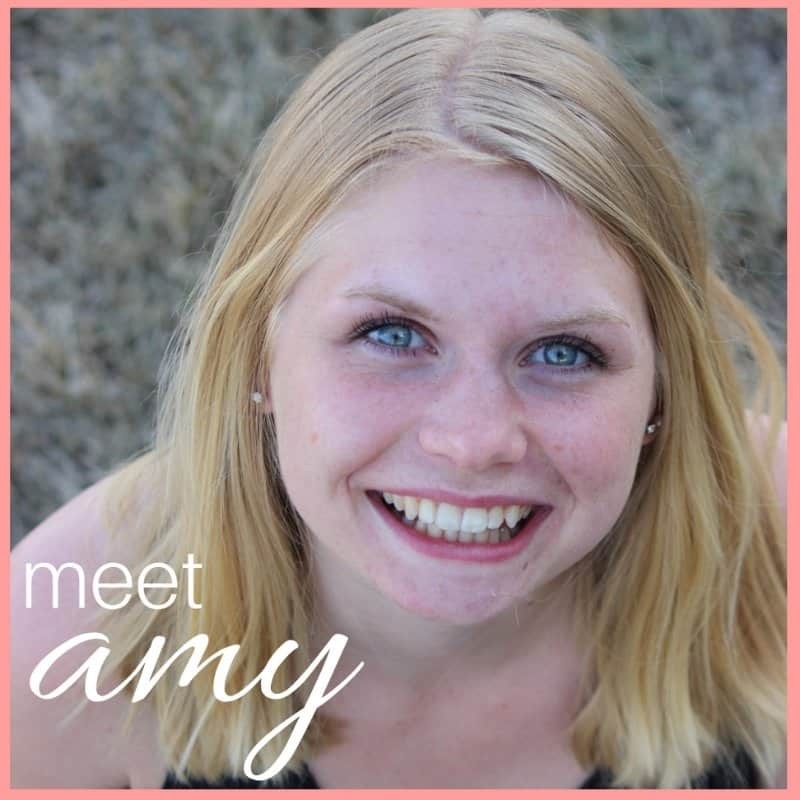 By the end of the month you will have either saved some money, quit a bad habit, or both! This one is a win-win. You will be tidying up your house and clearing the clutter and making a bit of money off of it. If you don’t know where to get started, here is a list of 20 things to declutter from your home today. If there’s something you just need to have, don’t buy it right away. Wait a day or two and use that time to really think if this is a necessity or just a want. Will your life shatter if you don’t get this, or will you just be a little bit disappointed? When you allow yourself to walk away from the item in the store and take some time to think about the purchase, more times than not you will realize that you really don’t need it that bad. If you saved $5 when you were out shopping today, transfer that money into your savings account. Because unless you actually transfer it into your savings account where you won’t spend it in the future, did you really save it? If you were grocery shopping and saved $50, as soon as you get home, transfer that money over to your savings account. Some of these saving tactics might seem small and insignificant, but even the smallest of savings will add up in the long haul. 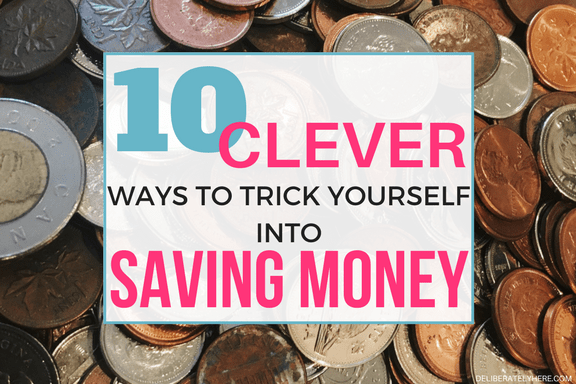 By doing these 10 easy things to trick yourself into saving money is a great way to start your journey to financial freedom. 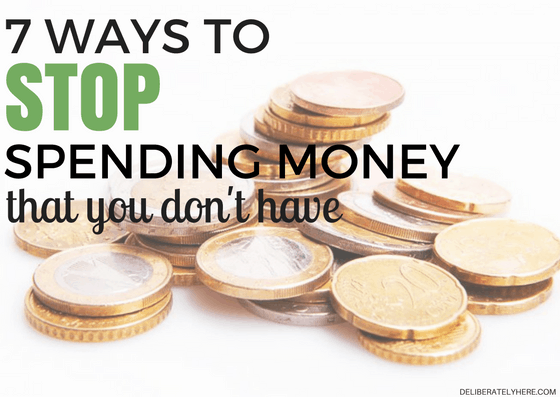 Saving money truly doesn’t have to be as daunting or hard as you might think it is. IMAGINE WHERE YOU WILL BE IN 6 MONTHS FROM NOW IF YOU START TODAY.